At Popcornopolis, they blend old-fashioned caramel, zesty cheddar, and confectioner’s chocolates into delicious mouthwatering treats for you. Their beautiful packaging holds that bigtime crunch for months, so you can share the joy and give awesome gifts year round. 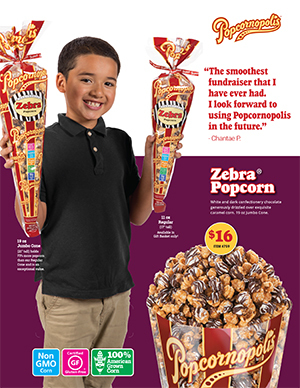 A brochure featuring the delicious Popcornopolis $8/10/16 bags and classic style tins. 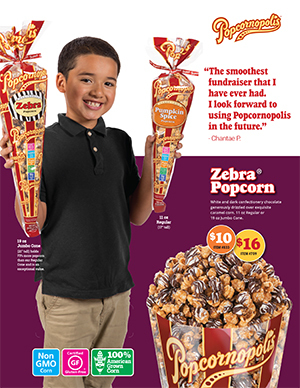 A brochure featuring the delicious Popcornopolis $14/16 bags and classic style tins.